Want to explore Salisbury? Here are the convenient ways to get around. The City of Salisbury strives to promote safe cycling opportunities for persons of all ages and abilities by creating a regional bike route network connecting citizens and visitors to destinations and major activity generators. Local Citizens making Salisbury a bicycle friendly community. The Salisbury Bike partY is a fun event for anyone to join! Meets at 6:30 p.m. typically on the 2nd Friday of each month at the Government building (125 N. Division St.) in Downtown Salisbury. The ride leaves at 7:00 p.m. The Wheelhouse Bicycle Donation Hub promotes equality, health, transportation and employment for youth and adults on Maryland’s Eastern Shore. 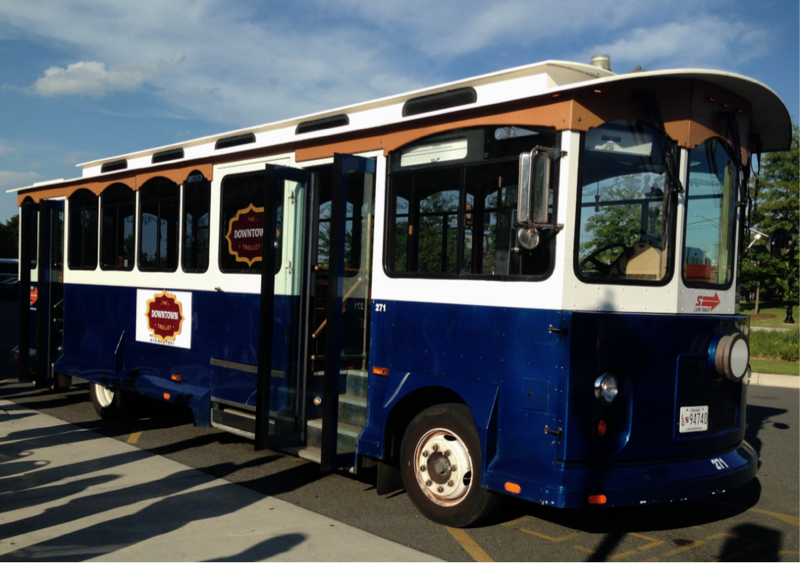 The trolley service available to Salisbury University students and the public so that they can travel to restaurants, shops, and bars downtown. The public transit agency for the Maryland lower eastern shore counties of Somerset, Wicomico and Worcester. Shore Transit offers public transportation via fixed route and origin-to-destination services. Enjoy boating and paddling and want to explore the Wicomico River and waterfront restaurants? Launch your vessel from our floating dock or boat ramp. For quick access rent a slip in the Port of Salisbury Marina which is located at the headwaters of the Wicomico River and in the heart of the City of Salisbury. APP based peer-to-peer ridesharing is a new way to travel. One tap and a car comes directly to you. Popular companies servicing our area include Lyft and Uber.